Travelling makes you fit and conditioned. 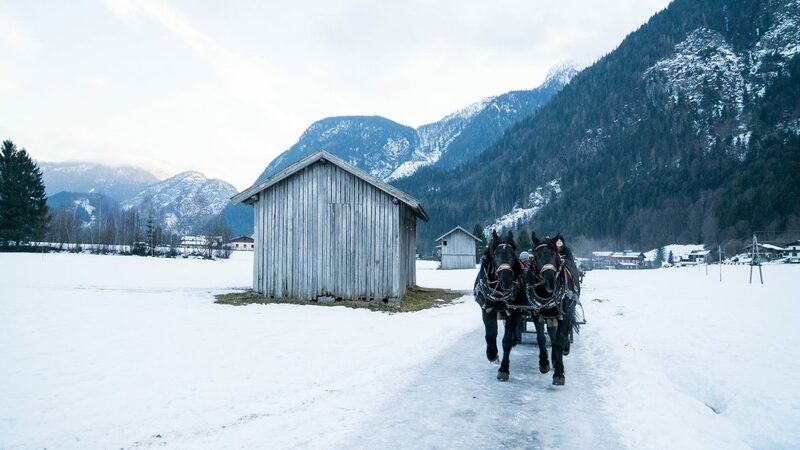 This was also shown in the wintry days in Salzburger Saalachtal. After an intense morning on skis and snowboards ‘Sechs Paar Schuhe’ and ‘Life with Sandy and Benni’ had enough motivation to try out the region away from the ski slopes. Exercise makes you hungry. In the case of ‘Six Pairs of Shoes’ and ‘Life with Sandy and Benni’, hungry means times ten. 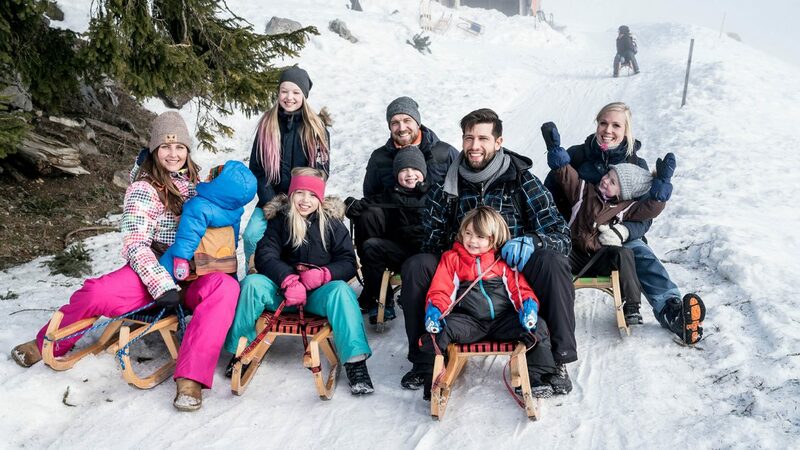 The two families had fun on the ski slopes in the Lofer Alpine World and made good use of the mornings – up until their hunger came. Then, they went for lunch into the Soderkaser restaurant on the Loferer Alm – straight onto the cosy sun terrace. Kasnockn, Kaiser Schmarrn and co. While they warmed themselves from the Sun’s rays, the two families tried typical Austrian cooking. 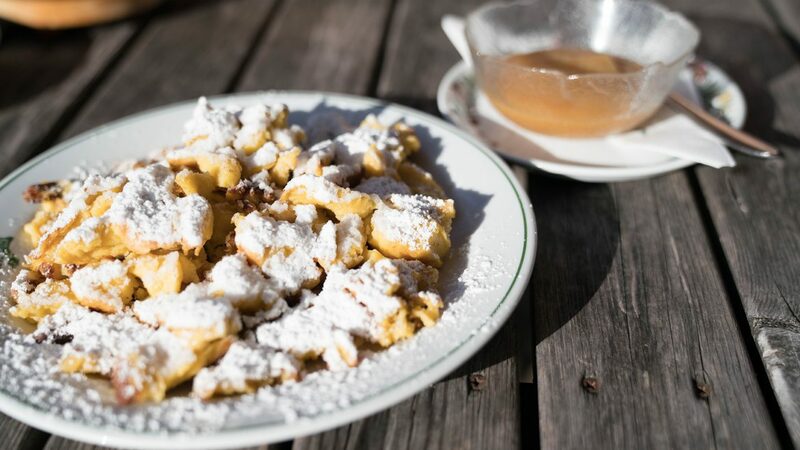 A bite of Kasnockn here and a piece of Kaiserschmarrn there! Everyone enjoyed the taste and the winter panorama all around did its job. Strengthened and motivated, kith and kin were packed up and headed down into the valley. But there was little time to rest, because down below a horse-drawn carriage was waiting for the families. The snorting animals were already combed and waiting for the upcoming carriage ride. Wrapped in thick, furry blankets it was then time for ‘Six Pairs of Shoes’ and ‘Life with Sandy and Benni’ to head through snow-covered forests and past the snow-sprinkled peaks. A perfect offset to the action-packed morning. In a family ski area such as the Salzburg’s Saalach Valley, of course a particular sport must not be missed – the sledding. Before you can sledge down the slopes, you have to walk up them first. And so it was for the two families who took approx. 1.5 hours to walk up to the traditional Hochalm. After a culinary pick-me-up the group divided into single and double sledges and got ready for the departure. Initially slightly flat, the trail soon went downhill quite fast. All the family members arrived at the bottom covered in some snow but still in a good mood.